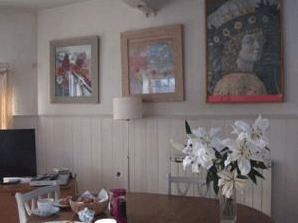 Welcome to Bankhill Cottage, Self Catering in Berwick-upon-Tweed. 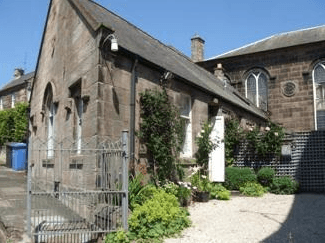 Berwick upon Tweed Bankhill cottage is a self catering holiday cottage near the English and Scottish border. The holiday accommodation is located on the historic Elizabethan walls overlooking the River Tweed and the famous Stephenson railway viaduct.It is close to the shops,bars,restaurants,theatre,beaches,castles and golf courses.The coastline is stunning and inland you can meander across the Scottish border towns. The railway station is a ten minute walk. Edinburgh and Newcastle airports an hour by car or train. 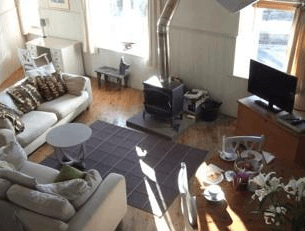 Come and enjoy a holiday in this contemporary stylish cottage right in the middle of Berwick upon Tweed. Berwick-upon-Tweed is steeped in history and is surrounded by the best preserved fortifications in Europe and a walk around the walls shows the stunning coastline,architecture and historic remains. In Berwick there is golf,swimming,walking,tennis and biking,but it is ideally placed to visit the Northumbrian coastline,Bamburgh castle, Alnwick castle (of Harry Potter fame) Holy Island and the Farne Islands.Travel inland and you are in the Scottish borders. Edinburgh and Newcastle are 50 minutes away by train. 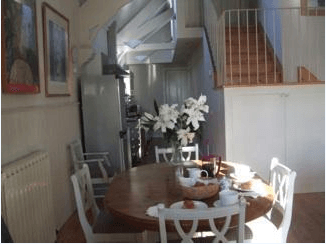 The self catering cottage comfortably sleeps four. There is a spacious open plan living/dining area and a galley kitchen. One twin with an en-suite with shower and one double with an adjacent bathroom. There is a wood burner for cosy evenings,a tv,a dvd player and a cd player/radio.Lots of books. The kitchen has a microwave,dishwasher and washing machine. There is ONLY ONE parking space in the shared front driveway. A parking permit is available free for town parking if you have two cars. Gas central heating and one basket of logs is free. Rates: £550 – £650 per week depending on season.